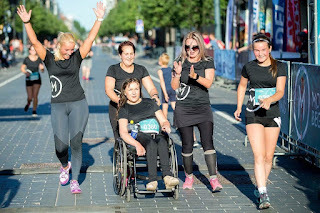 Are you tired of getting drenched in your wheelchair? 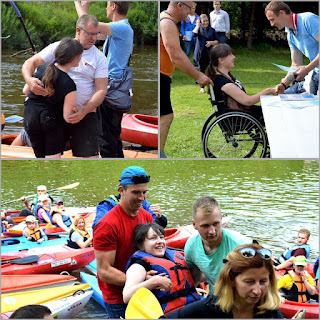 Are you looking for a way to stay dry without having to attach anything to your wheelchair? Consider the Brella Buddy, the hands free way to hold an umbrella. 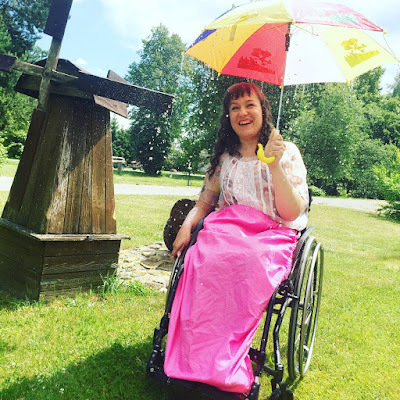 The Brella Buddy not only holds an umbrella keeping your hands free to push the wheelchair, it can protect your valuables as well. The Brella Buddy has several inside pockets. There is one inside pocket large enough to hold a collapsible umbrella for after the rain has stopped. But there is also a zipped, netted pocket to safely hold your valuables. Since the Brelly Buddy is secured to your body and the netted pocket is zipped it would be nearly impossible for anyone to remove anything from there without you knowing about it. 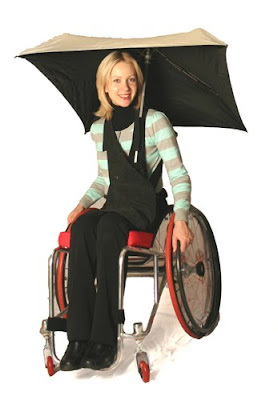 Have a look at the Brella Buddy, the new hands free wheelchair umbrella holder ideal for wheelchair users. Dude. THIS IS AWESOME!!! If this is your creation, I applaud you, my friend! THANKS for announcing this. I'm not chairbound but I work in the field. I've been working on a site that I'd LOVE to link with yours. If you'd join and leave me some suggestions, I'd GREATLY appreciate it.